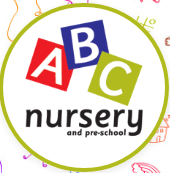 ABC Nursery provides an outstanding homely environment for children aged birth to 5. Our spacious setting offers a Baby room, Nursery and PreSchool. Childcare is delivered in small personal groups guiding children through their early years journey. We have a wonderful outdoor garden with hardcourt, soft matting, mud kitchen and sandpit that is surrounded by natural sights, sounds, smells, colours and textures that allows children to freely play, explore and imagine during all seasons. Our fees cover freshly cooked nutritious meals, baby milk and creams (nappies not inc.). We offer full and half day packages, and 15 and 30 hours funded childcare.